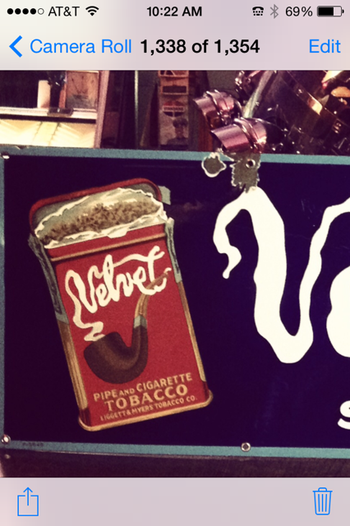 In Signs > Tobacco and Smoking Signs > Show & Tell. 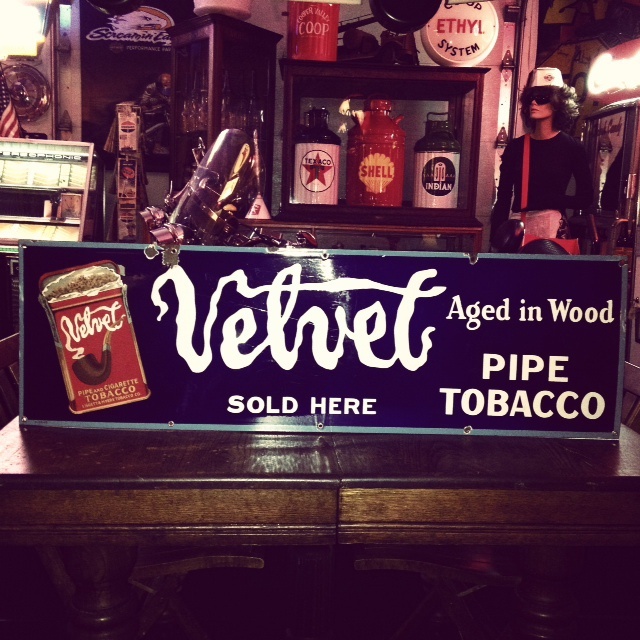 I was back in Michigan last week on a pick with some friends and came home with this great Velvet pipe and cigarette tobacco porcelain sign. The sign is in great shape with bright colors. I've counted five colors on the sign. This is another great sign to add to my collection. Good condition signs are getting harder and harder to find and getting expensive. You have to really search to find a good sign at a good price. On most of these signs you can't read the writing on the can because it's so faint from wear but this one is very legible. The sign is 39" x 12". You do such a great job. Buddy. Condition is awesome! What a great pick, looks great in your collection! Thank you tom61375 for the love! Thank you Trey for the love! Thank you oldnfuelish for the love! Thank you AntiqueToys for the love! Thank you Daddy_Nobucks for the love! Thank you tommy1002 for the love! Thank you Eyewideopen for the love and the nice compliment! Thank you Zowie for the love and the comment! Have a great weekend! Thank you valentino97 for the love! Have a great weekend! Thank you Nova for the love and the nice compliment! Have a great weekend! Thank you Designer for the love! Have a great weekend! Thank you rikanddonna for the love! Have a great weekend! Thank you chevy59 for the love and the great compliment! Have a great weekend! Thank you billyg for the love! Have a great day! Thank you toenail2 for the love! Have a great day! Zowie, what's to easy mean? Micheal it just means it not hard to comment on something of beauty. That's is the easiest way to explain. Or you don't mind doing something is another it just makes it to easy to help or do things of pleasure. Thank you Zowie for the explanation! 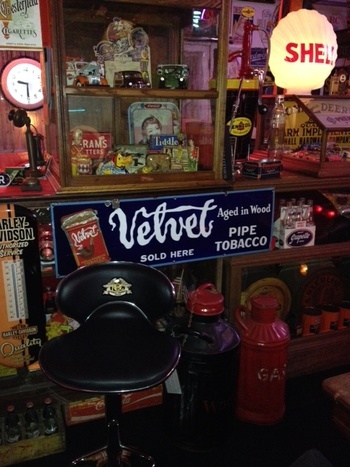 Thank you packrat-place for the love! Thank you pickrknows for the love! Thank you straightleg for the love! Have a great day! Not a problem I seem to confuse enough people. Thank you Zowie for hitting the love button again! Thank you all again for all the loves! Have a great week and good luck finding that special treasure! Thank you snowman3, petey and MountainGirl for the loves! Thank you Antiguetoys, vintagegirl66 and usedcarlady for the love!